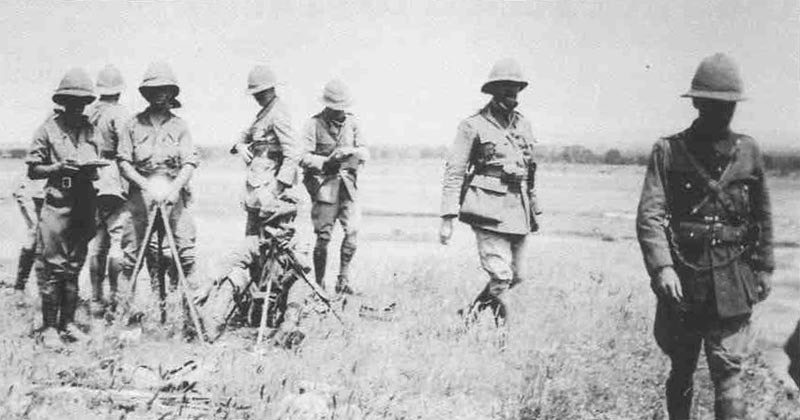 The new British commander Lieutenant General Smuts (2nd from right) in East Africa. East Africa: Smuts reaches Mombasa and assumes command, forms Lake Force and reaches Nairobi on February 23. Kitchener approves his offensive on February 25. Albania: Italian Savona Brigade outposts repel Austrian attacks on river Arzen and Pjesha heights, but on February 23 blow up bridge and retreat to Durazzo. USA: Government protest to Turkey on Armenian massacres.